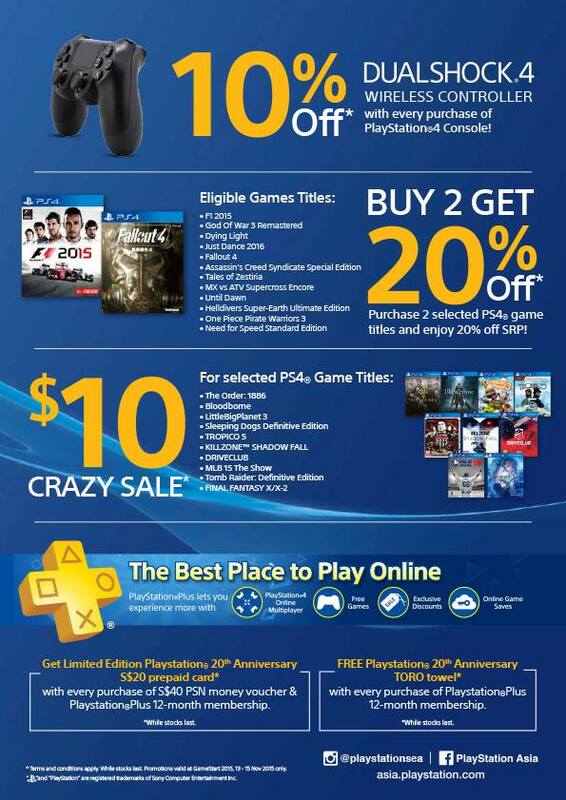 GameStart 2015 is just a day away and Playstation Asia has finally revealed it's promos for the event. $10 PS4 Games are awesome! Not sure if you need to buy a console to enjoy the promotion though.. 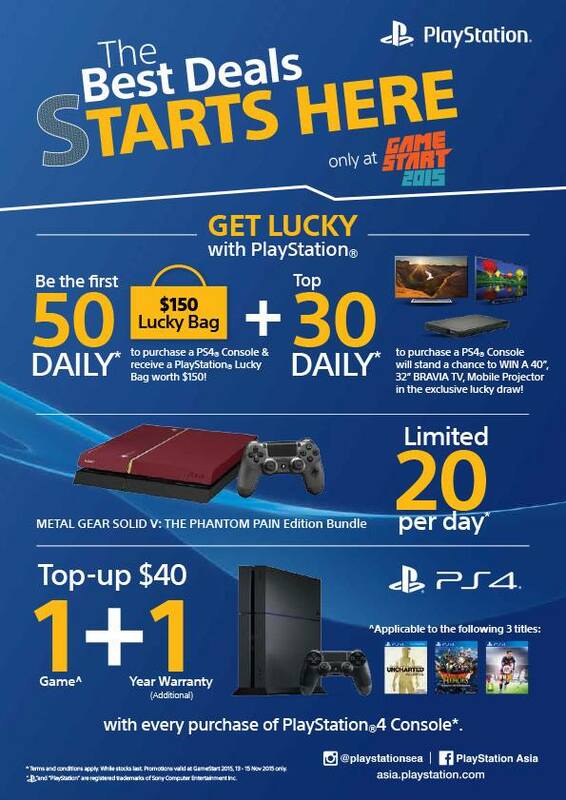 If you are looking to buy a PS4, it seems like a good option to buy at the event to enjoy some of the deals. Will be updating the blog with more details on GameStart 2015 later today and tomorrow morning. Of course after which, I'll be heading down to the event later in the afternoon, as I bought the VIP Ticket. Will be updating my Instagram, Facebook & Twitter live from the event so you can check out the exhibitions early to plan out your schedule if you are heading down on Saturday and Sunday.